Autumn is a time of transition and vibrant colors. We invite you to walk Lynden's grounds to collect a variety of colorful leaves, or choose from the natural materials we have on hand in the studio to create your own unique collage composition. 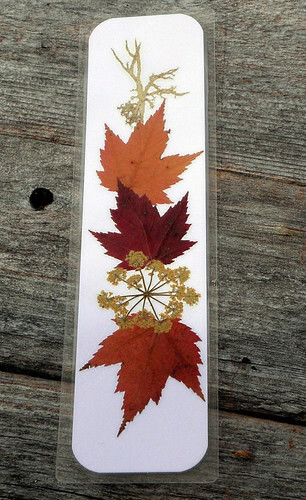 Take your bookmark home to use with your favorite book during the winter.